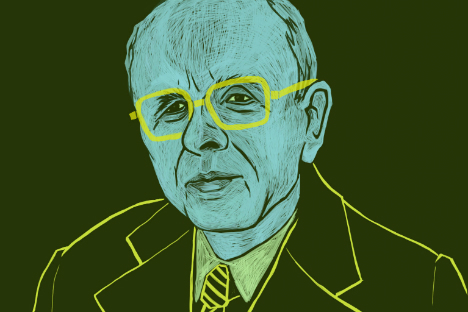 Dec. 14 is the 25th anniversary of the death of nuclear physicist, human rights campaigner and Soviet dissident Andrei Sakharov. However, he was also a political figure who made a significant contribution to the transformations that the USSR went through in the late 1980s. Gavriil Popov, the first democratically-elected mayor of Moscow and a fellow member of the democratic faction in the last Soviet parliament, writes about Sakharov's political legacy. I got to know Andrei Sakharov during preparations for the first congress of people’s deputies in the spring of 1989. He was exceptionally clear about the need to lead the country out of the deadlock of the state bureaucratic socialism that it was stuck in. At the time, everybody felt the same way. But far from everybody had an idea of how to achieve it. The more conservative part of society, represented by the communists, believed that it was necessary to reform the socialist system, seeking its “improvement.” Another group, led by Gorbachev and Yakovlev, who at the time were members of the Political Bureau of the Central Committee of the Communist Party of the USSR, advocated a profound transformation of the country, since they realized that reforming the existing state system was impossible. Yet another group, made up of Russian politicians who were critical of the authorities, proposed returning to capitalism. Sakharov came up with a fourth option: to move to a new system of state. Socialism in the form that we had had the experience of turned out to be unacceptable, but capitalism as we saw it in the world around us did not appear too palatable either. Sakharov proposed a path of convergence, bringing closer together the capitalist and the socialist development models, making the most of the advantages of each system and eliminating their most obvious deficiencies. For example, a large-scale privatization had no place in a system of socialist relations, whereas capitalism did not allow for state ownership, without which it was difficult to imagine Russia’s future development. Sakharov’s position turned out to be extremely fruitful. It certainly helped that he was an outstanding physicist. Sakharov made use of one of the main achievements of 20th century science: Niels Bohr’s principle of complementarity, whereby only a combination of mutually exclusive phenomena provides a full description of these phenomena. It was only through complementarity, Sakharov was convinced, through combining the best qualities of different systems of state, that a truly new form of government could be developed. However, his ideas of convergence and complementarity were never implemented. Back to 1989: A small group of democratic MPs, which Sakharov belonged to, evolved into the first legal parliamentary opposition, the Inter-Regional Deputies’ Group. Democratic MPs united and began preparing for elections, but there was no agreement as what had to be done first. It was an unexpected proposal from Sakharov that played a decisive role. When it turned out that members of the opposition had no common ideas or program, he emerged as a real politician and came up with the most practical idea: Instead of looking for a positive agenda that unites us, look for what we all agreed should be abolished. We all were against the power of the Communist Party of the USSR. So the best thing for us was to focus on abolishing Article 6 of the Constitution, stipulating the party’s absolute power. Among the most important problems that the democratic movement had to address urgently, Sakharov listed the future of the USSR. We all agreed that as an empire, the Soviet Union could not be preserved. It was necessary to find a replacement for that structure. Sakharov then proposed the idea of a Eurasian union and began drafting its constitution. But he did not finish it, as his untimely death cut that work short. These days, the idea of a Eurasian union is once again coming to the fore, which is just yet another proof of how relevant his ideas still remain. The American model of world order has collapsed. It was not even so much an American model as a model based on the power of petroleum groups that impose their rules of the game on the world in their own selfish interests. This model should be countered by something new, but there is no ready alternative to it yet. A Eurasian union as proposed by Sakharov could become just such an alternative. However, when this union is formed, it is necessary to take into account mistakes made by the European Union, which, in turn, is repeating mistakes made by the Soviet Union. Just as the USSR, which wanted to involve its remote rural areas, which were terribly backward at the time, in social transformations, Europe today wants, while retaining its high-tech decision-making system, to involve in the process of socio-economic transformations the countries of Eastern Europe, which are seriously lagging behind. Sakharov was a remarkable person, who devoted his whole life to other people. It was for the sake of the people that he gave up all personal benefits and perks. He decided not to waste time on restoring all the state awards and medals of which he had been stripped, which he had more of than most people. In terms of self-denial, Sakharov was not unlike the great Russian revolutionary democrat of the 19th century, Nikolai Chernyshevsky, who paid for his beliefs and ideals with persecution, exile, hard labor and even a public humiliation, but did not allow any of that to break his resolve. Gavriil Popov was the first democratically elected mayor of Moscow. He currently heads the International University in Moscow.